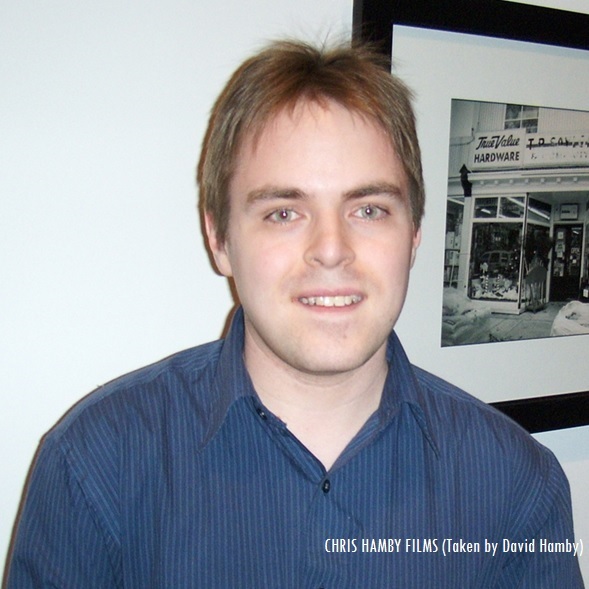 Christopher David Hamby was born in Fairfax, Virginia on January 16, 1988. He has lived in Walkersville, Maryland for all of his life. He became interested in classic film and television at an early age. 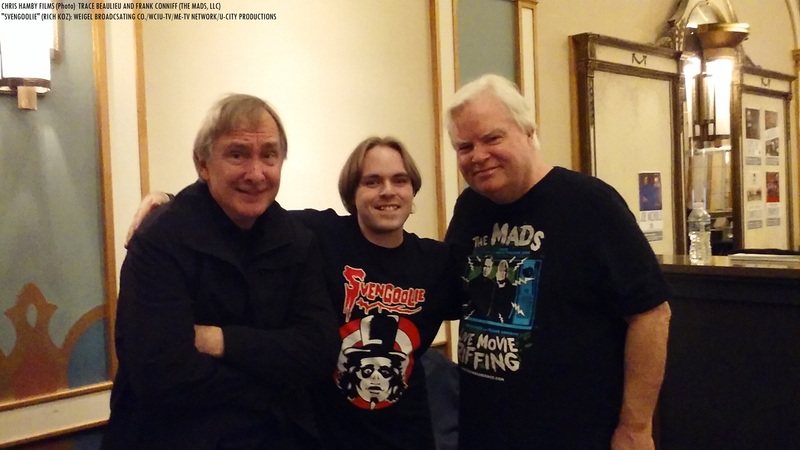 For many years, he has won praise from his friends and peers on his impeccable knowledge on vintage motion pictures, television, music recordings and the unique technologies that are associated with those mediums. In 2003, Hamby filmed his first documentary, “Orville and Wilbur Wright: 100 Years of Flight,” which was filmed during the Centennial of Flight Celebration in Kitty Hawk, North Carolina. In 2007, he won silver and bronze awards in the local and state SkillsUSA video production championships. That same year, Hamby graduated with honors from Walkersville High School. He expanded his interest in video and television production by attending Frederick Community College. In 2010, Hamby was presented with an FCC academic achievement award, for a video PSA project that he did in his Biology class on stink bugs. That same year, he earned his certificate of completion in television production. He graduated with honors from FCC in 2011, earning his associate’s degree in the field of general studies. Hamby worked as an unpaid audio-visual volunteer for The City of Frederick’s public access cable channel, Channel 99, in 2013. He was honored by the Mayor and city Aldermen for his work on a September 11th video tribute piece for the city’s September 11th remembrance ceremony that same year. 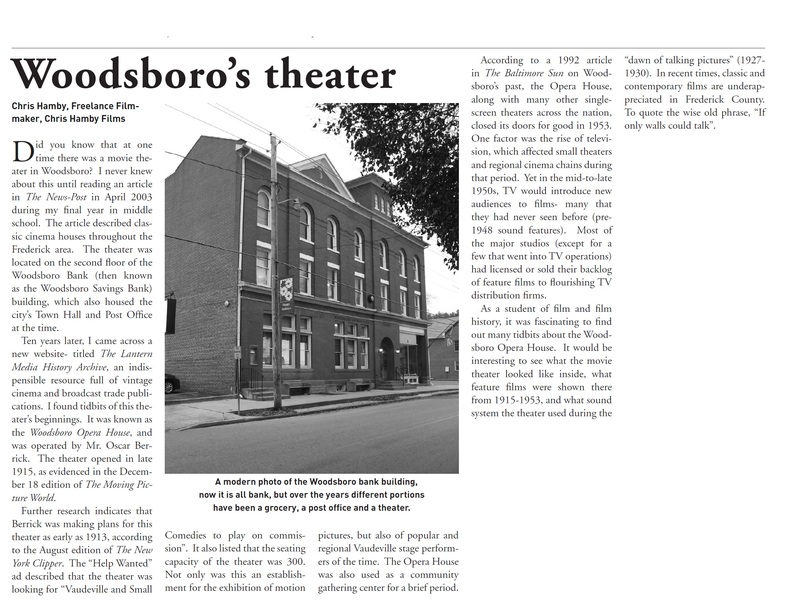 In January 2014, Hamby wrote an article for The Woodsboro Times (now known as the Woodsboro-Walkersville Times), on how the town’s bank building doubled as a movie theater for nearly 40 years. He was praised by his friends and colleagues for his article. 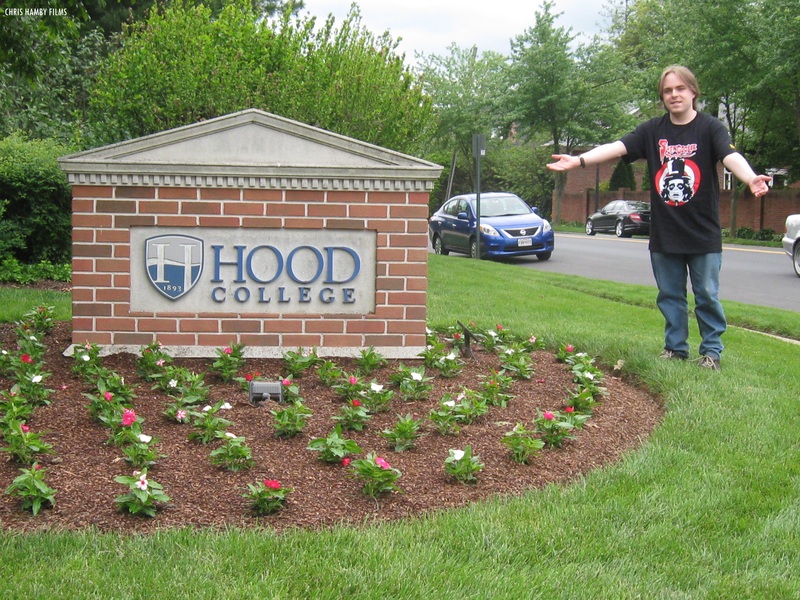 Hamby returned to college in fall 2014, by attending Hood College. He completed his studies in Dec. 2016 and graduated from Hood with a bachelor’s degree in Communications (with a concentration in Digital Media) in May 2017. During his final semester at Hood, Hamby had his own live weekly afternoon radio program on Hood’s exclusive online radio station (Blazer Radio), titled “Yours Truly, Chris Hamby.” His show consisted of groovy tunes, fun facts about classic/cult film (along with a weekly “Svengoolie” song) and interesting conversation. His show lasted for two seasons on Blazer Radio (the first season lasted from Sept.-Dec 2016 and the final season lasted from Feb.-May 2017). Hamby was praised by his fellow coast-to-coast Svengoolie SvenPals for his graduation photo appearance (with his official Sven T-shirt) in Svengoolie and Kerwyn’s “Mail Call” segment during Svengoolie‘s telecast of the Universal/Lon Chaney Jr. “Inner Sanctum” mystery “Calling Dr. Death” (1943) on Me-TV network back in July 2017 (a month after Hamby walked the graduation stage at Hood College)! Many fellow SvenPals have also been mentioned (or have appeared) in Sven & Kerwyn’s “Mail Call” segment as well! Over the years, Hamby has met nationally-known persons of importance, including documentary filmmaker Ken Burns, journalist Cokie Roberts, David Eisenhower, Julie Nixon Eisenhower, National Public Radio corespondent Korva Coleman and MST3K alums Trace Beaulieu and Frank Conniff (the “Mads“)! Many fellow SvenPals have also appeared in Svengoolie and Kerwyn’s “mail call” segments on the show as well! Hamby avidly watches his favorite classic/cult films and TV shows, enjoys sightseeing, visiting National Parks, reading interesting humorous books, collecting coins and hanging out with friends (whenever his schedule is not filled with tedious work). Currently working in the field of data entry for a regional chain of secondhand book/music/video retailers along with freelance work, he is confident that he will successfully land a career in the field of cinema/television and/or video production soon. Questions about “Silver Screen Reflections?” Feel free to contact him for more details (via the contact section, Twitter or e-mail at chrishambyfilms@gmail.com).